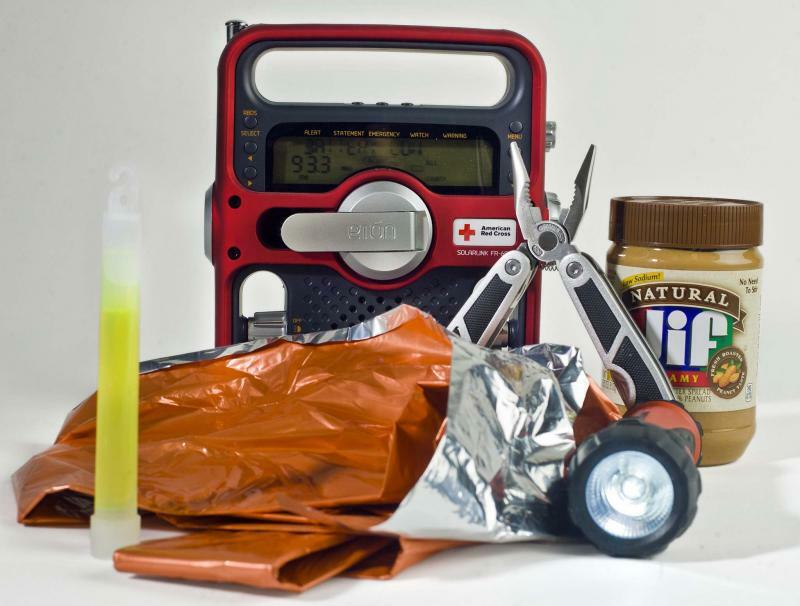 Your emergency kit should be able to sustain your household for three days. By early November, you’ve probably completed all the major home maintenance tasks to get ready for winter, such as changing your HVAC filters, weatherproofing your home, getting a furnace inspection and so forth. But in the midst of all this, you may be wondering what you’re missing. Sometimes the smallest details give you the biggest headaches. But you can head those off by attending to these simple tasks. Handle the easily missed home tasks: Many tasks around the home build up over time — and you might not even think about them, even during a major household cleaning. Take some time to go through your house and hit all the smaller things you rarely think about. Your garbage disposal builds up gunk that’s both smelly and damaging to the disposal itself. Clean it by running water and emptying ice cubes into the disposal, then let water run for a minute. Chop up a lemon and feed it down the disposal to get rid of unpleasant smells. Don’t use caustic drain cleaners on the disposal — they can corrode its innards. Also, don’t forget to clean the rubber splash gasket on the drain, which accumulates nasty buildup as well. Preserve household safety: The coming of winter, with larger crowds in your home, more electrical usage underway and heaters operating, makes safety an even bigger priority. Take this opportunity for a regular safety review. Test your smoke detectors, overhead fire sprinklers, carbon monoxide detectors and any other major safety sensors in your home. You don’t want to lost precious minutes because you overlooked a AA battery replacement. If you don’t already have a home emergency kit, make sure you compile one. It should include first aid; safety and survival basics; and enough food, water and medication to sustain everyone in your household for three days. If you do have one already, check it and make sure everything’s in good order. You’ll be glad you did in the case that you need it.